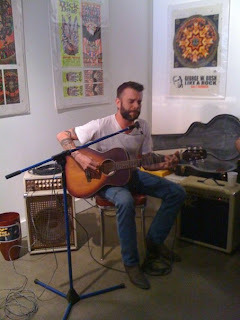 Last night I caught Ben Nichols of Lucero at a solo acoustic performance at 1819 Central Gallery in KC. 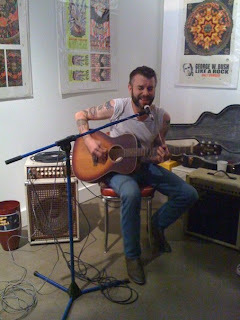 Lucero was in town opening for Cross Canadian Ragweed at The Crossroads and although I wasn't able to make it to the show, I did catch the pre-show solo performance and I'm really glad I did. 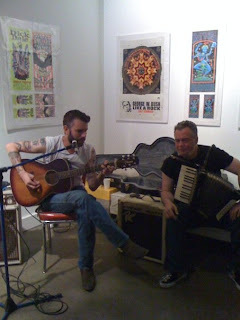 Ben came in with a guitar and a handle of Jameson and took requests for almost an hour in the corner of the Art Gallery. 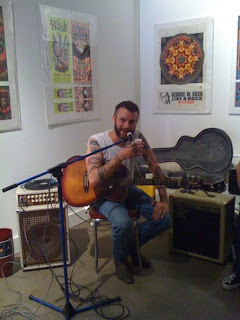 It was a fantastic performance and the lady friend was able to catch a few snapshots of Ben on my phone.